If you have an idea of opening a restaurant or even you already have a one, you need to have an attractive online website. If you have one, you need to check if it’s not old and ugly. Top level restaurants follows latest online trends too. It might be a good time to create a new restaurant website today. To do that, we present to you a list of premium WordPress themes for restaurants. Let’s go to check them all! The Restaurant is a WordPress theme that is a highly customizable theme for restaurants or anything alike. You can change colors with a color picker, easily modify the layout and add your sliding menu card. L’ambiance is a beautiful, simple and responsive WordPress restaurant theme. In this theme, you can easily manage multiple menus. Also, this it’s combined with WP Super Cache that allows very fast load times and a very reactive experience. Grand Restaurant is one of the best-selling WordPress restaurant themes from Power Elite. It was bought over 100,000 times. It has a lot of great features like an automatic live content builder, easy to use keynote-like interface and much more. Cristiano is a straightforward and beautiful restaurant theme. It is using WooCommerce plugin, and because of that, it has great online ordering system. Furthermore, it offers a lot of great features like open cart reservation, social media profile in the footer, SEO friendly, and others. SimpleCafe is a WordPress that is carefully made to satisfy all of the modern food restaurants, delivery services, cafes and other needs. The design is eye-catching, and it has many built-in useful features for your business. NEM restaurant theme has a tasty menu design that makes it the perfect solution for those type of businesses. ThimPress made it, and it’s trusted by over 10,000 customers around the web. It’s compacted with unlimited color skins, theme combinations and much more. 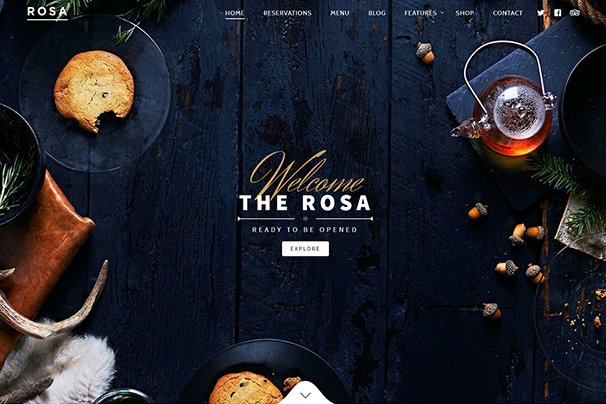 Rosa is an easy-to-use parallax restaurant WordPress theme that will help you to express your story in a dynamic, narrative and enjoyable way. It has an exquisite design that is perfect for restaurants and compacted with a lot of great features for restaurants. LaCuisine is responsive and retina ready flexible and clean WordPress theme that is most suitable for restaurants, cafés, and bars. This theme has tons of customization options, and designers have added a lot of great design features that you will love. Elixir is a clean and professional restaurant, bakery or any other food services WordPress site template. It is responsive with four homepages, one menu food page and a lot of excellent features that will suit your needs. BERG is a WordPress theme that is suitable for any food services from restaurants to pubs. This theme addresses critical tasks of every restaurant. It has all the necessary options such as food menu, blog, contact, about page, reservations, and others. Butter is an attractive and user-friendly WordPress restaurant theme. Developed by professionals that know what you need in restaurant website. It has high-performance parallax, open table reservations, and other great features. Lily is a responsive one-page restaurant theme with touch support that has a clean design. This theme is highly customizable, and because of that, it will help you redefine your website’s brand value. Rica is a responsive theme with essential features for restaurants or other food service WordPress sites. The code is spotless, and because of that, it can be easily extended and edited by any other developer. Salmon is a creative and modern WordPress theme that is suitable for restaurants or any other food-related businesses. Also, this theme is a mobile-friendly, and you can make endless customization. Echion is specially built for quick launch and straightforward running a perfect restaurant or café website on the WordPress platform because of the one-click install. Also, it has a lot of great features like quick popup view, vertical mega menu and much more. KOBA is a minimal and highly responsive WordPress theme. It was designed especially for restaurants. It will fit all kinds of restaurants and has all the needed pages for your business. Moreover, it is easy to use. Flamenco WordPress theme for restaurants is packed with everything you could need in your business. Beautiful menus, open table reservations, compatible with an e-Commerce system that is integrated into the interface. Cuisine is a responsive restaurant/café WordPress theme that is consistent not only with restaurants but with other food services too. It has a lot of great features integrated like mail chimp, WooCommerce, revolution slider plugin and much more. 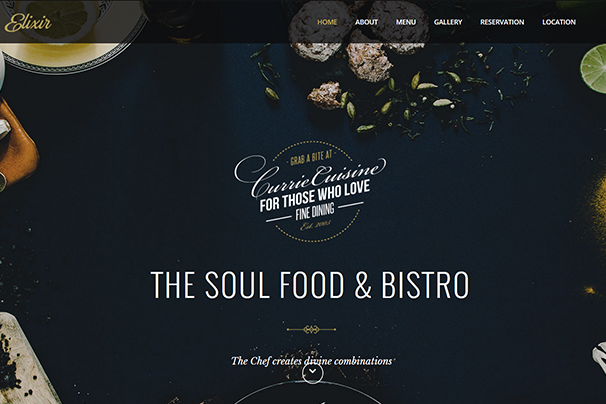 Brando is creative, easy-to-use and sophisticated restaurant WordPress theme. It will allow you to display the interior of your restaurant, food that is made by your kitchen chef and much more. Cafe Art is clean, modern and professionally crafted WordPress theme. It can be used by restaurants or cafés; Theme has dark and light, boxed and full, single and multipage versions. Lavie is a responsive WordPress theme that is excellent for an elegant restaurant website. You can quickly and easily build your style and unique layout. Also, this theme supports WooCommere. Plate is the ultimate restaurant WordPress theme. It is built with tremendous flexibility. Also, you can drag and drop, reposition and redefine your web space. Furthermore, it has an unlimited amount of layouts and styles. Culi Ristorante is responsive one page WordPress theme for restaurants. It is clean, modern and creative. Also, the theme is flexible, and it is easy to set up and customize it to your needs. Bite is a professional, responsive and easy to use restaurant WordPress theme. Furthermore, it lets you choose between 3 different menu layouts. Also, this theme includes free awesome page builder and much more. Tomato is a modern, creative and responsive restaurant WordPress theme. It has features like drag and drops builder, parallax sections, video background, email reservation, blog pages. Also, it includes four home pages. Founder/CEO Just&Tom and JustasMarkus.com. 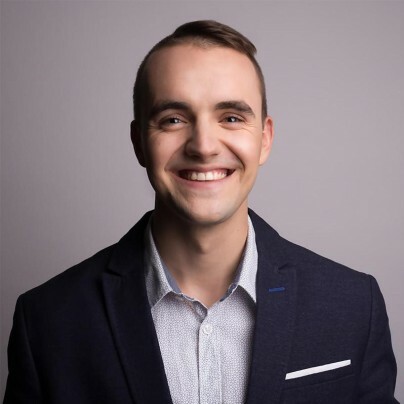 Passionate traveler and blogger at Entrepreneur.com, Observer.com, Influencive.com and others. Catch up with Justas on Twitter. Do any of these themes provide a table booking functionality?